The main driver for most businesses today is data. Understanding your customers’ needs, habits and behaviour is something that every company aspires to. TruRating first came to life in 2013, when founder Georgina Nelson began to notice how influential online review sites were becoming and the defining impact they were having on businesses. Her major concern was that whilst they might have been created with the best intentions, feedback sites didn’t often represent the general public’s opinion. They often picked up the extremes without providing a real sense of what a more typical customer experience might be like. In an effort to find an alternative solution, Georgina decided to talk to businesses and it quickly became apparent to her that there was a genuine desire for them to get some kind of reliable feedback. “I guess I found my way into this business by design,” she tells me as we begin our interview. With degrees in psychology and law to her name, it made sense that Georgina would perhaps take an interest in the sampling of human behaviour. “For a while, I worked in policy law for Which magazine and I started to understand data and customer behaviour. What became quickly apparent to me was that the reviews from consumers often left more questions than they answered. The really smart approach Georgina finally decided upon was to use familiar technology (a conventional PED) that was accessible to everyone (usually at the end of their retail experience) making it the perfect opportunity to get some honest feedback. Because the process is also so simple, it delivers some of the most accurate data. 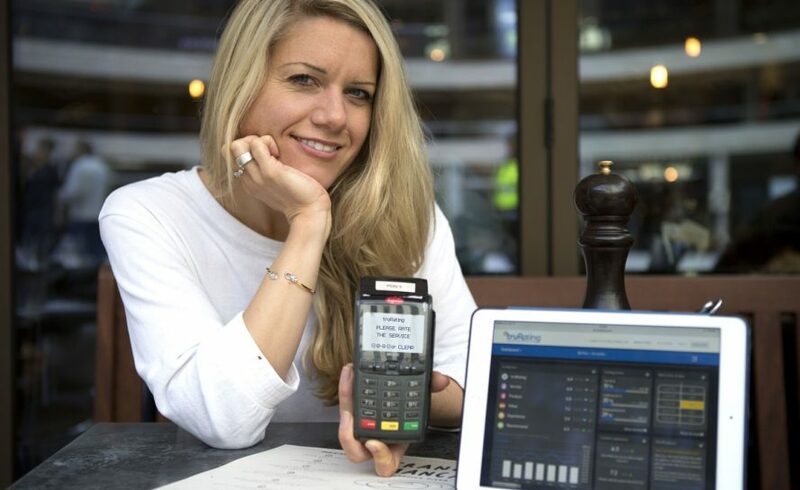 Effectively, what this has allowed the TruRating system to do is build a point-of-sale system that fits all business requirements, delivering real insight through an intuitive, fast and robust mechanism. With a simple 0-9, one-tap entry process any customer can have their opinion immediately heard. 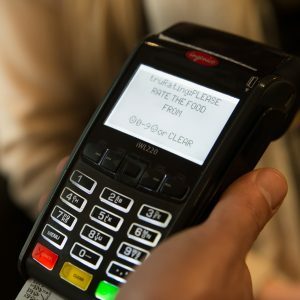 By teaming up with payment service providers, acquiring banks and payment hardware manufacturers, the true potential of the TruRating system is brought fully to life. If you would like to know more about this innovative solution, then visit the TruRating website here.